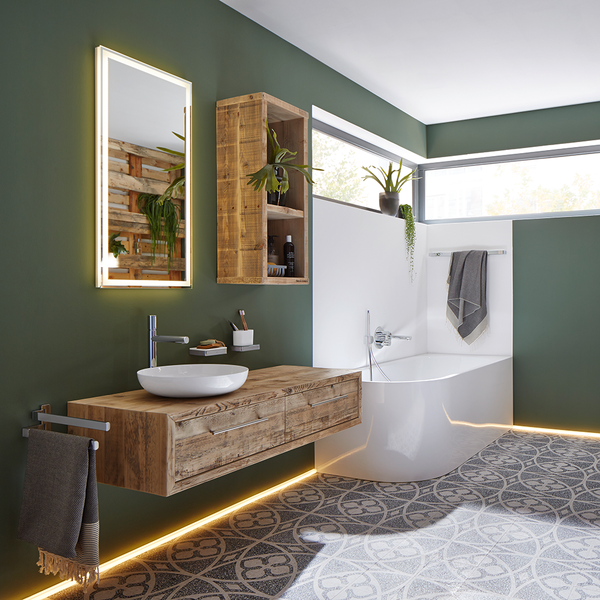 Vibrant colours, a punchy floor design and a variety of shapes make this dream bathroom really big. 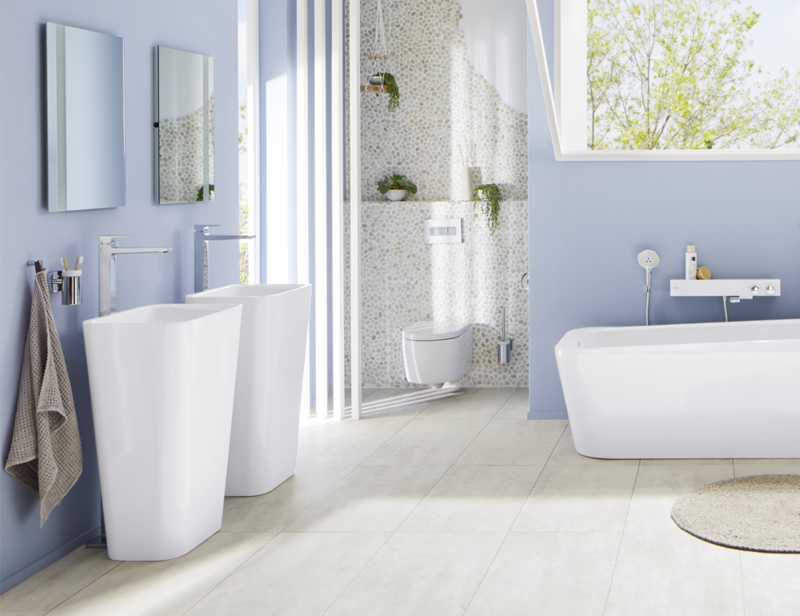 Because – a truly special bathroom doesn’t have to be enormous. 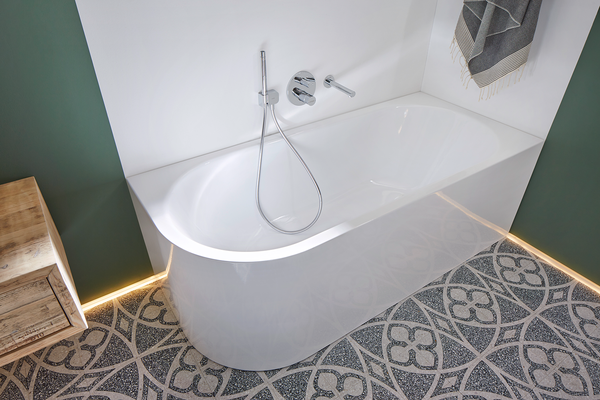 On the contrary: this dream bathroom’s charm lies in the depth of character packed into a small space. 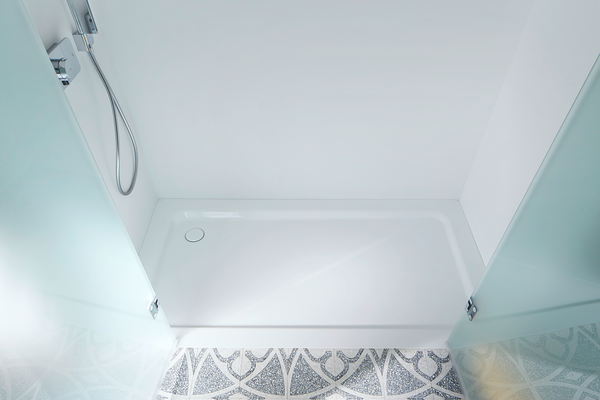 And it proves: a small space and a bathtub are not mutually exclusive. Persuasive lines. 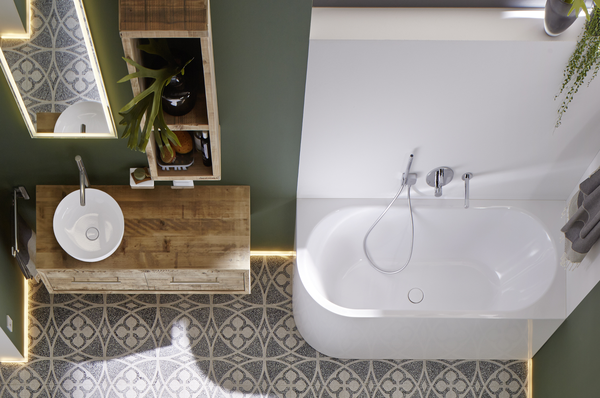 The MEISTERSTÜCK CENTRO DUO 1 LEFT bathtub sits perfectly in the corner where its curved shape is a visual highlight. The interaction of curved and angular shapes, colours and patterns makes the available space look bigger. 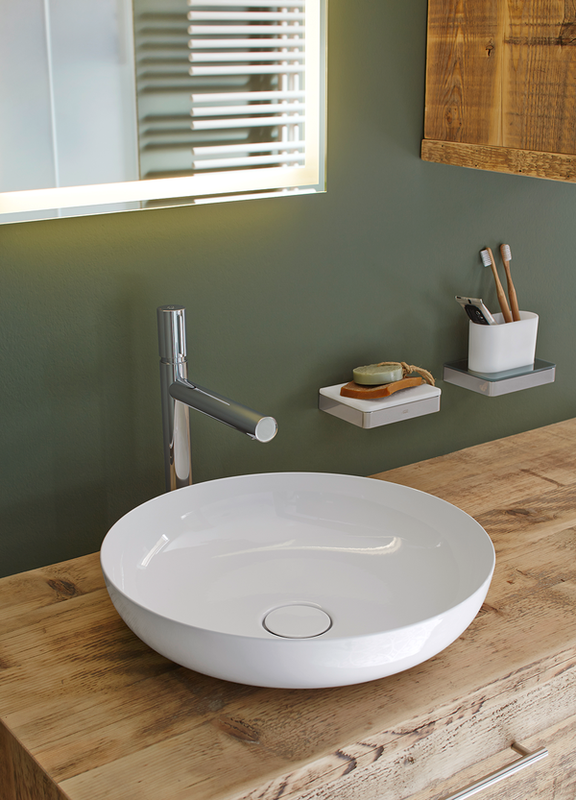 Truly eye-catching: the MIENA washbasin bowl features a delightfully delicate design. 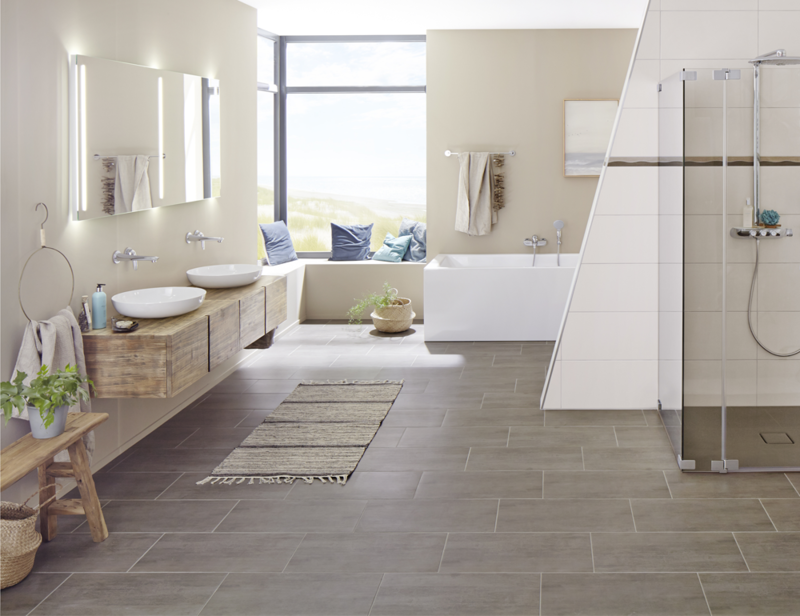 For comfortable, floor-level showering: The SUPERPLAN shower surface is available in many different sizes and is suitable for rooms of all dimensions.